A few nights ago, my youngest brother asked for Chipotle for dinner like he always does. But the weather outside was frightful, and Mexican food is so delightful, so we decided it couldn’t be too hard to put together our own Chipotle-style meal at home. 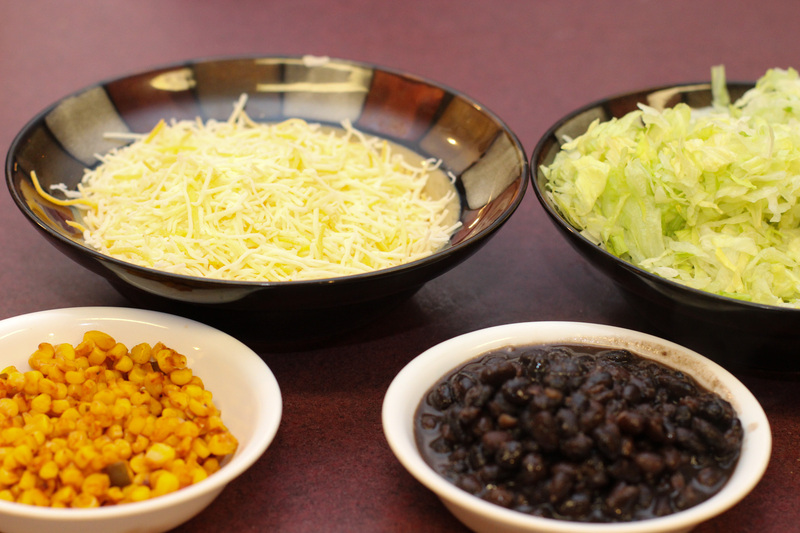 Behold, the 7 steps necessary to assemble the most important (at least in my opinion) ingredients to the ultimate do-it-yourself burrito bowl. 2. 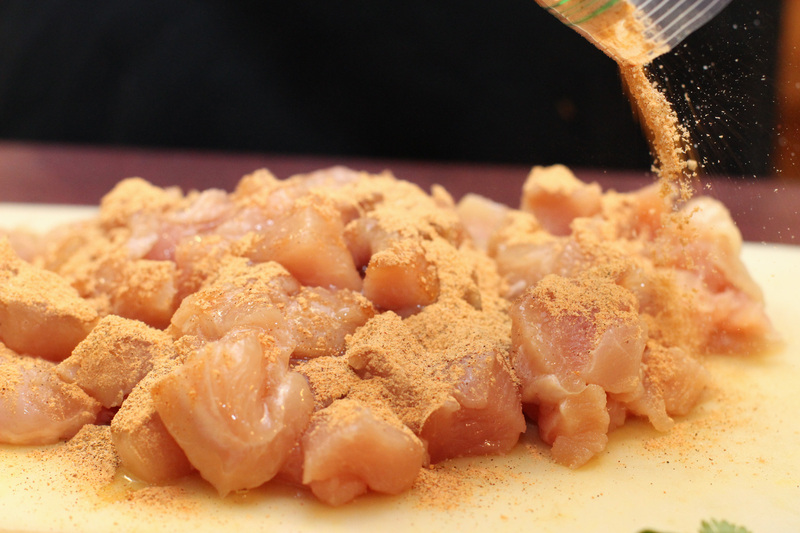 Coat with seasoning, water and olive oil. 3. Heat a skillet on medium high, then toss in chicken. Sautée until heated through. 2. 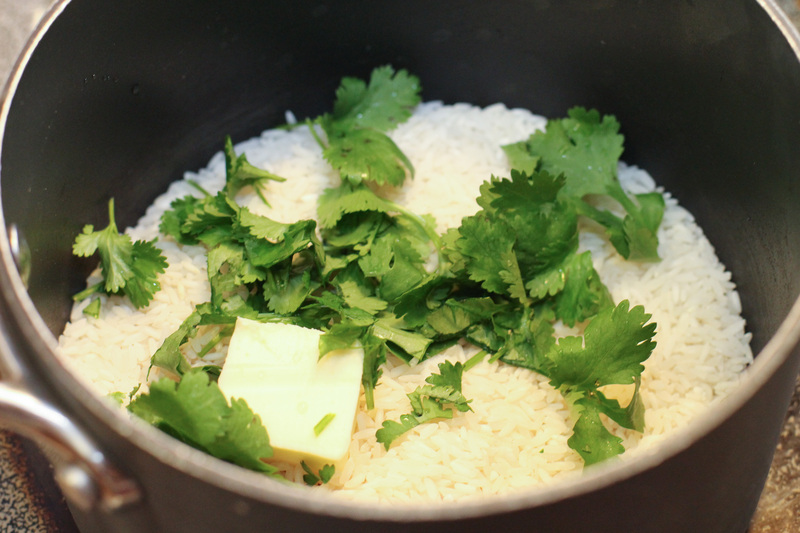 Cook on high until boiling, then simmer for 15 minutes. 1. 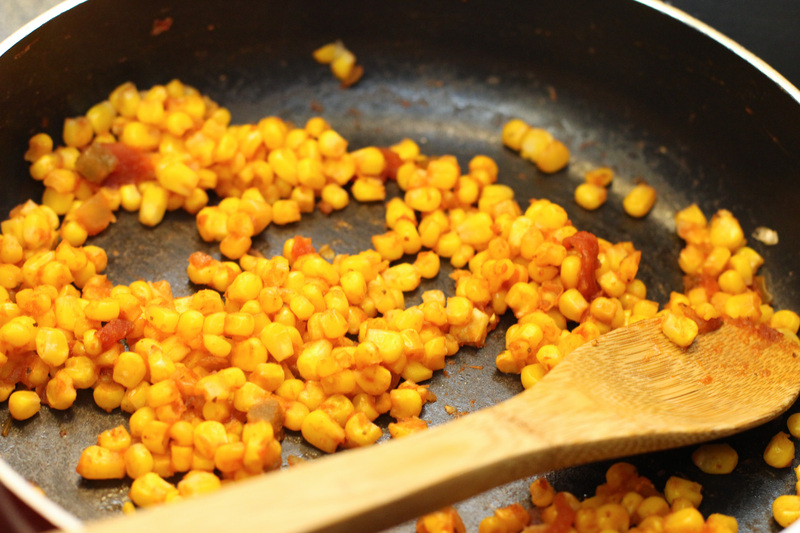 Combine corn and salsa in a saucepan. 2. Heat corn until fully cooked. 2. Heat until warm throughout. 2. Blend with a hand mixer until smooth. 1. 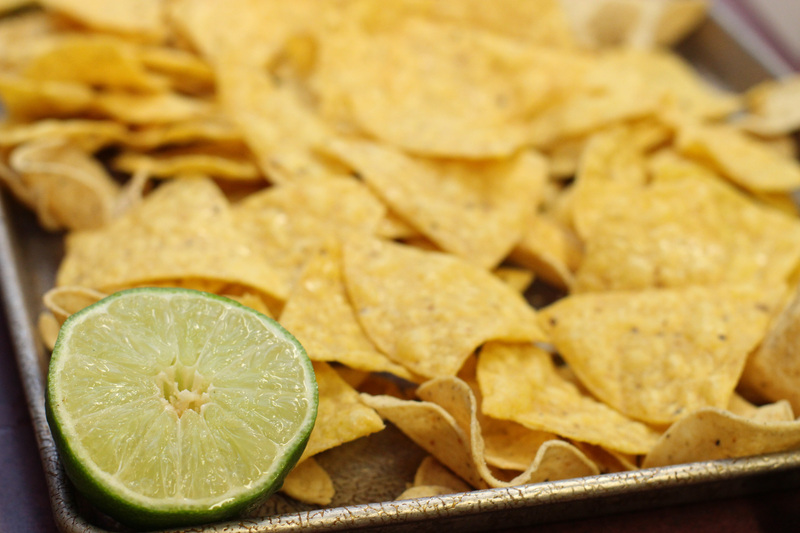 Arrange tortilla chips in a single layer on a cookie sheet. 2. 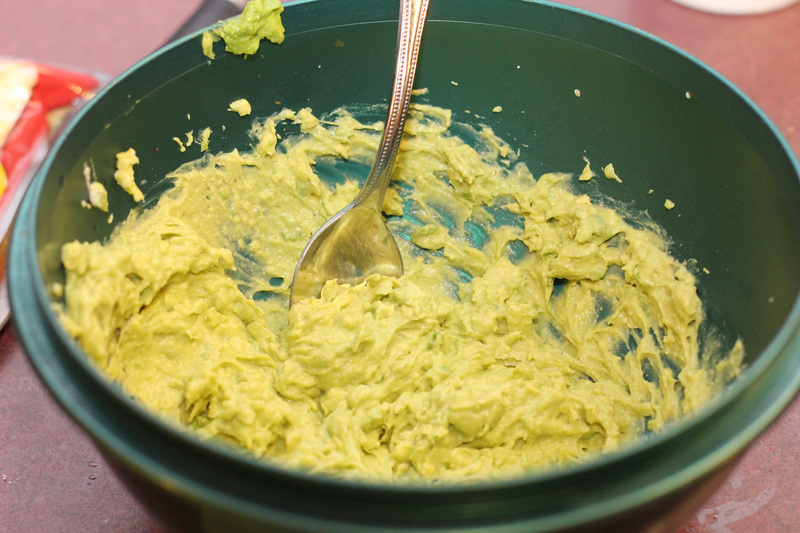 Sprinkle lime juice and sea salt all over chips. 3. Warm in a 170ºF oven for 3-4 minutes. Pile it up with some lettuce, cheese, sour cream and salsa verde, and enjoy your own faux Chipotle in the comfort of your house. 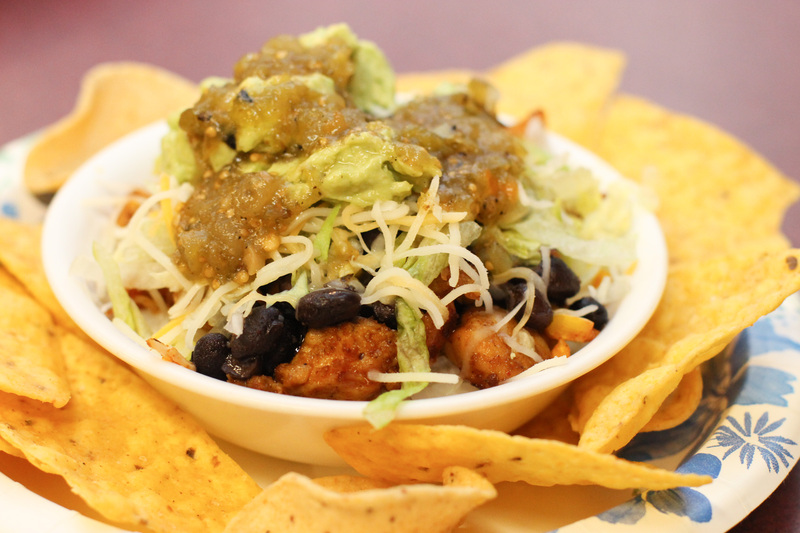 This entry was posted in dish, Recipes and tagged beans, burrito, burrito bowl, chicken, Chipotle, corn salsa, diy, food, foods, guacamole, Mexican, recipe, recipes, tortilla chips. Bookmark the permalink.